Nokia has returned to devices by unveiling the N1 tablet, a 7.9-inch device which will run on Android Lollipop. “THEY SAY NOKIA is dead… I say they couldn’t be more wrong!” said Sebastian Nyström, head of Product Business at Nokia, before he unveiled the first Nokia device after it sold its handset division to Microsoft. The Nokia N1 is a 7.9-inch Android tablet, running on the latest version Lollipop, and looks remarkably similar to the iPad mini. The 6.9mm thin device uses a one-piece aluminium body to keep things together. It comes with a 2.4GHz quad-core processor, 2GB of RAM and 32GB of storage. It also has an 8MP rear end camera and a 5MP camera at the front. While Nokia isn’t manufacturing the devices themselves, it’s partnered with a Chinese company to manufacture and market the tablet. The launch of this tablet also came with the official release of Nokia Z Launcher, an Android launch screen that was in beta mode until today. Nyström described the N1 as “the tablet that thinks ahead” and the gesture based interface that Z Launcher uses is a core part of this. Z Launcher allows you to select apps by scribbling letters down and finding the apps you want. The more you use it, the better it becomes at guessing what apps and services you’re looking for each time you use it. 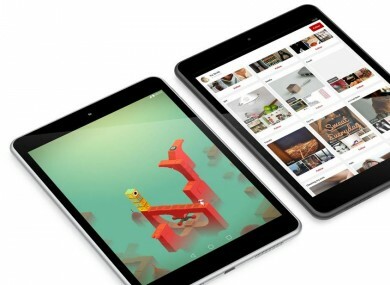 The N1 tablet will cost $249 (€200) and will start being sold in China first. It will arrive in time for Chinese New Year (19 February) before being sold in select European countries and regions. Email “Life after Microsoft sees Nokia unveil its own iPad clone”. Feedback on “Life after Microsoft sees Nokia unveil its own iPad clone”.